A chaotic incident played out recently after the convoy of the Vice President of Ghana was involved in a road accident. Two dispatch riders of Ghanaian Vice President’s convoy have been involved in an accident. 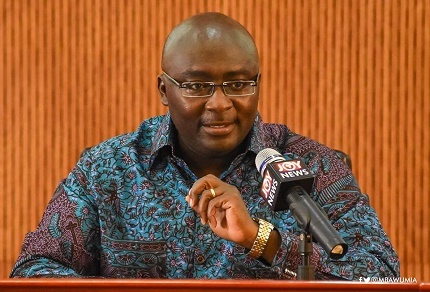 Reports said the incident occurred at Song, a village in the Mion district when a Nissan Patrol vehicle crossed the dispatch riders as the convoy of the vice president, Mahamudu Bawumia was moving from Yendi to Tamale. 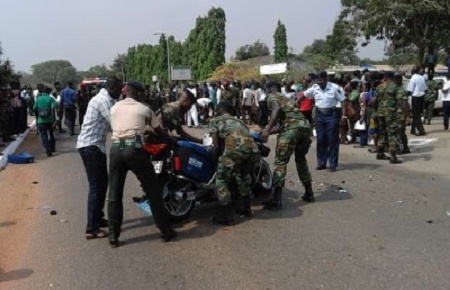 The Northern Regional Police Public Relations Officer, ASP Muhammed Yussif Tanko said riders of motorbikes with registration number GP-4135 and GP-4425 were thrown off the motorbike and crashed on the ground. One of the riders who was badly injured was rushed to the Tamale Teaching Hospital for treatment. Dr. Mahamudu Bawumia is on a four-day tour of the Northern region. On day one of his tour, he met with the Regent of Dagbon, Kampakuya Naa Abdulai Yakubu Andani at the Gbewa Palace at Yendi.